July 2015 issue on sale now! | What Hi-Fi? July 2015 issue on sale now! 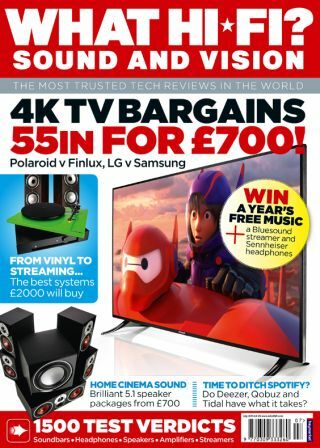 4K TVs, music streaming services and surround sound packages are just some of the highlights from the July issue of What Hi-Fi? magazine. Throw in the best hi-fi systems on the planet and you've got an issue that can't be missed! Building a great system is about experimenting with different combinations and keeping an ear out for that perfect balance. In July's issue we've done all the hard work so you don't have to, assembling four exciting systems based on four different sources: streamer, laptop, CD player and turntable. There's something here for everyone! Soundbars and soundbases can offer passable virtual surround modes, but they're no substitute for five speakers and a subwoofer. We test four top packages, each one under a grand, including the two-time Award-winning Dali Zensor 1 5.1, and new challengers from Wharfedale, Q Acoustics and Acoustic Energy. Making a great speaker isn't about throwing some drivers into a box and hoping for the best. In this month's Insider section Peter Comeau, Director of Acoustic Design at International Audio Group, talks us through the science and art of building a speaker. Our regular features serve up some quality kit, with First Tests showcasing Cambridge's new CXN music streamer, Mitchell & Johonson's CDD-201V CD player and Tannoy's Revolution XT8F floorstanders. Sony's BDP-S5500 budget Blu-ray player provides movie thrills, while Sennheiser's new Momentum 2.0 over-ear headphones wow with their musical sound. Meanwhile, this month's Temptations include a stunning pre/power amplifier combo from Mark Levinson and Focal's fantastic Electra 1038Be floorstanders.